Carlisle need a win to guarantee a place in the Sky Bet League Two playoffs and can get what they are looking for against Exeter at St James Park. Exeter are in the lovely position of knowing their playoff place is secure. Grecians' manager Paul Tisdale can afford to be experimental and may protect some of his key players for the post-season. There is a an eight-day gap between the end of the 46-game season and the start of the playoffs, so fatigue is not going to be a problem. However, there is the danger of Exeter players picking up injuries in a match which Carlisle should treat like a cup final. Tisdale has promised his team's focus and approach will remain the same but has been non-committal with regard to his selection. There is an argument that a defeat could work in Exeter's favour. 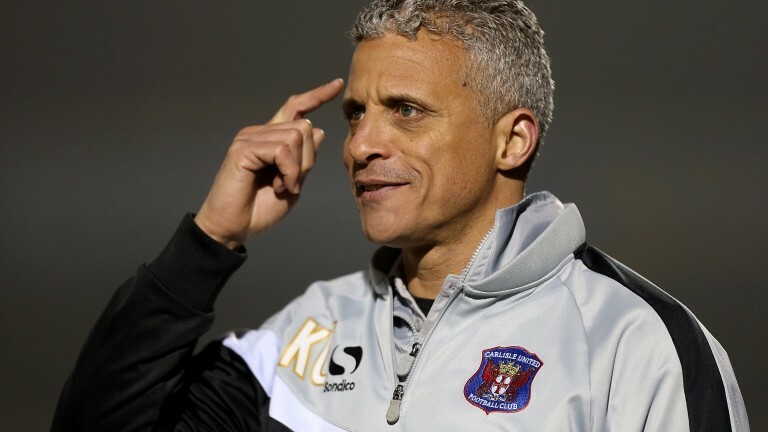 Lose the match and they would be guaranteed to face Carlisle again in the playoff semi-finals. And, given the Cumbrians' poor results in 2017 (five league wins, seven draws and ten losses) Exeter would be entitled to fancy their chances. Win the game and Exeter could be up against any of the teams currently placed between seventh and 12th, all of whom could finish as high as sixth. Some of those outcomes might be ones Exeter would fancy but there is no certainty and therefore not a huge incentive for players to put their bodies on the line against a Carlisle side in win-at-all-costs mode. Carlisle had a miserable five weeks stretching from the end of February to late March, taking one point from seven games. But they have done better in the last six games, winning two, drawing three and losing one, and came from behind to seal a crucial 2-1 victory at home to Newport last Saturday. Whether they are playing well enough to have a decent chance in the playoffs is open to question. However, they are in a better place than they were a few weeks ago and should be backed to seal sixth place. Barnet cannot finish any higher than their present position of 15th but they are not playing like an uninterested mid-table side and can sign off with a victory over Crewe at Gresty Road. The Bees have played much better since Rossi Eames took sole charge of the first team last month following the sacking of his sidekick Kevin Nugent. Eames has won two games out of three and has done so by integrating several promising players from the Barnet academy. The future is looking bright for the Bees and they are taking on Crewe at a good time. Crewe would view themselves as a big club in League Two but are 17th, five points below Barnet, and struggling with injuries. First-choice centre-backs Ben Nugent and George Ray are absent for the last game of the season and a shaky Crewe defence may be punished by Barnet's 26-goal top scorer John Akinde, who has netted in three of the last four games and is level with Doncaster forward John Marquis in the race to finish top of the scoring charts. Brighton have gone off the boil since winning promotion and may struggle to sign off with the victory they need to seal the Sky Bet Championship title. The match carries more importance for Brighton than opponents Aston Villa, who are 12th place. But Villa have won six of their last seven home matches and will be under pressure from manager Steve Bruce to play a lot better than they did in last Saturday's 1-0 loss at Blackburn. Some of Villa's fans were happy enough to see their team lose at Ewood Park because it increased the chances of bitter rivals Birmingham finishing in the bottom three. But Villa supporters will want to see a positive performance in their last game of the season and the players are likely to respond. Injured striker Jonathan Kodjia is unavailable for the hosts but January signing Scott Hogan is used to playing as a lone forward and is proven in the second tier. Brighton have greater firepower but their offensive players have gone off the boil in recent defeats at Norwich (2-0) and at home to Bristol City (1-0). It won't be easy for Brighton to suddenly switch back to being the side who started April with five wins in succession and they may return to the south coast without the Championship trophy. Norwich have played better since falling out of the promotion picture and can wrap up a positive finish to the season by beating QPR at Carrow Road. The Canaries registered impressive home wins over Reading (7-1) and Brighton (2-0) in April and should have too much quality for QPR, who have lost their last three away fixtures.